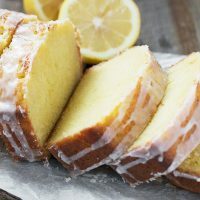 My go-to lemon loaf recipe for years! 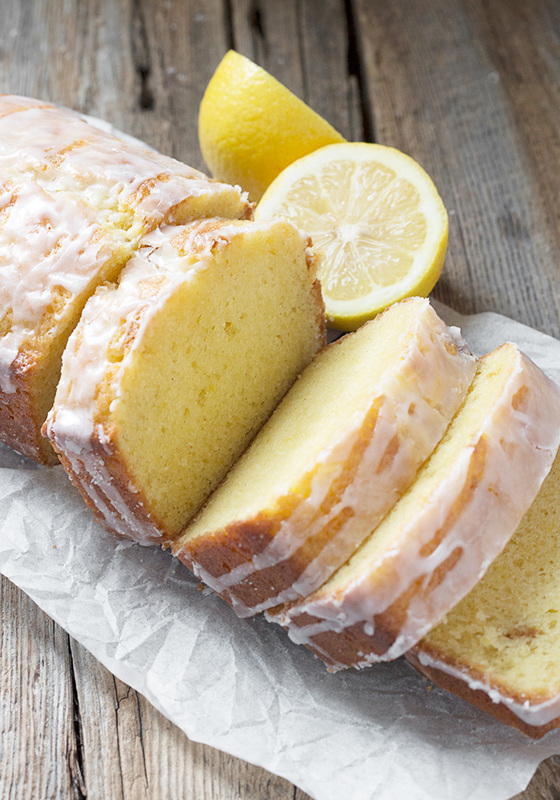 This delicious Glazed Lemon Pound Cake Loaf is always perfectly moist and lemony! I have been making this same lemon loaf for years. It’s my “go to” when only lemon loaf will do. The fact that I’ve never posted it to this point is simply my belief that maybe the internet didn’t really need another lemon loaf recipe. But what the heck. It’s good, it’s tried and tested (many, many times!) and for anyone who has yet to find their “go to” lemon loaf, it’s definitely worthy of consideration. I suppose lemon loaf is somewhat subjective. What makes this loaf a winner for me is the lovely texture (not too light, not too dense), the perfect level of moistness (not too oily, never dry) and just the right amount of lemon. With this one, the hit of lemon actually comes more from the glaze than the cake, though there is obviously some lemon in the cake. But it’s in the lemon glaze that the the perfect balance is struck, so definitely don’t skip that. The final point I love about this loaf, is that it needs only 1 large lemon and pretty much typical pantry and fridge items to make it. That means I’m always stocked to make this one, which has come in handy many times when I needed a little something special to share or gift. When it comes to baking loaves like this one, there is really just one secret to success. Follow the instructions :) Take it from someone who has (in the past :) skipped certain instructions like “at room temperature”, “whisk together well in a separate bowl” and “add alternately” … yet had what I considered (at the time) to be a reasonably fine result. So the moral of that story … be sure to take your eggs, butter and sour cream out of the fridge 30 minutes before you start baking. Be sure to combine the flour, salt, baking soda and baking powder in a separate large bowl and whisk it together well. You will be rewarded! 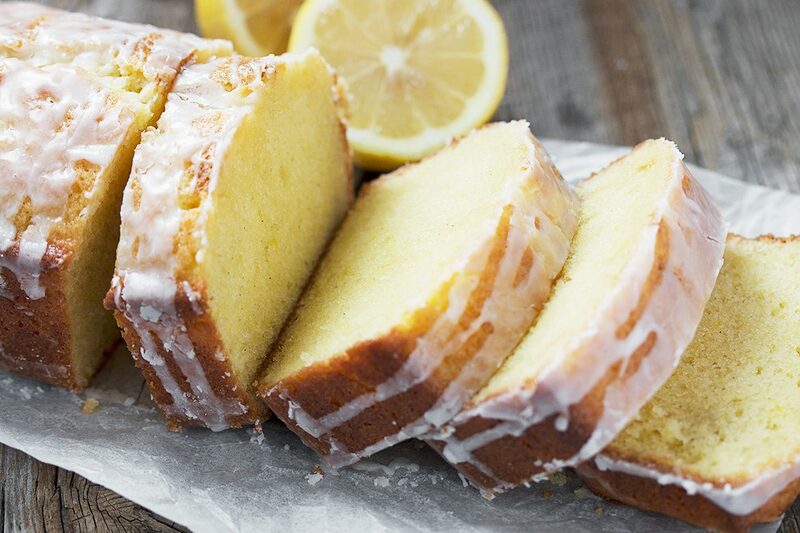 This lemon loaf freezes beautifully. Freeze it whole in a freezer bag, or slice it first and freeze it. Slicing first means you can grab a slice when you feel the need, instead of trying to cut/thaw a slice from a frozen whole loaf. To thaw a slice, simply set a frozen slice on the counter on a piece of paper towel and it will be ready to enjoy in 20-30 minutes. To thaw a whole loaf, set on the counter inside the sealed freezer bag until thawed. 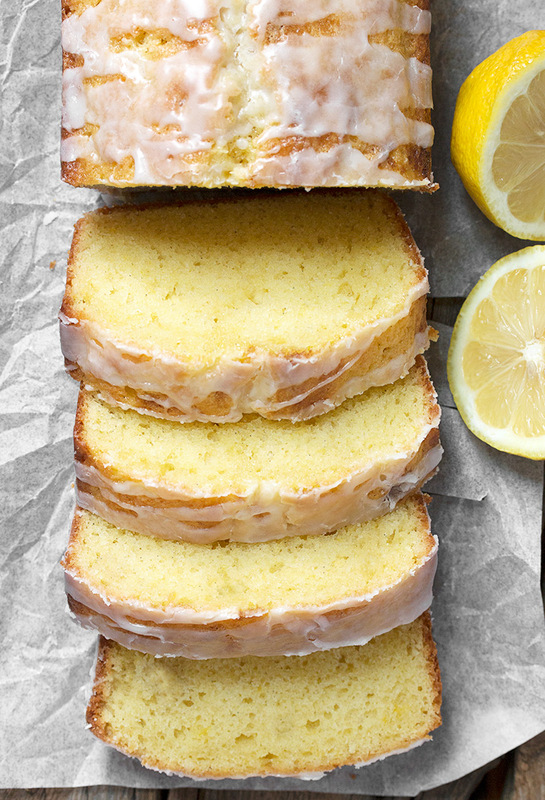 Perfectly lemony and moist loaf, with a tart sweet lemon glaze. Freezes beautifully! Preheat oven to 325 F. Spray an 8x4-inch loaf pan with baking spray and line with a piece of parchment paper that covers the bottom and long sides, with an inch or so extending past the top of the pan (these will be the "handles" to lift the loaf out of the pan). 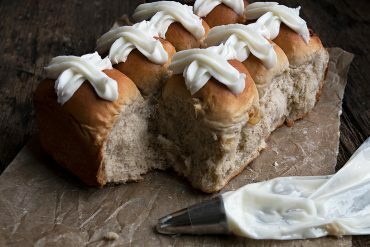 In a large bowl with an electric mixer or in the bowl of a stand mixer fitted with a paddle attachment, beat the butter with the sugar until light coloured and fluffy. (Don't skimp on this process. It should beat about 3 minutes). Add the eggs one at a time and beat in well after each addition, scraping down the sides of the bowl, as needed. Beat in the lemon zest, lemon juice and vanilla. Scrape into prepared 8x4-inch loaf pan and level batter. Bake in preheated oven for 55-60 minutes, or until a tester inserted in the centre comes out clean. While loaf is still a little warm, prepare the glaze, adding enough lemon juice to make a pourable glaze. Place a baking tray under the cooling rack to catch any drips and spoon glaze slowly over top of loaf, allowing it to drip down the sides a bit. Cool completely, then slice and enjoy. 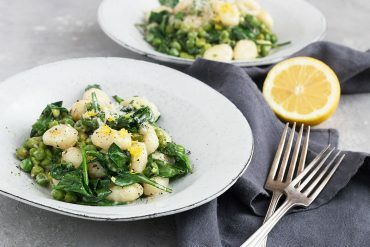 Hi Jennifer, this recipe looks so amazing and I can’t wait to try it. I may try it ahead of time as written in the loaf pan but do you think this could be used for an Easter Lamb cake in the lamb mold? Would I have to double the recipe? When I make a lamb cake, it’s usually from a Dromedary pound cake mix and they’ve discontinued the mix. 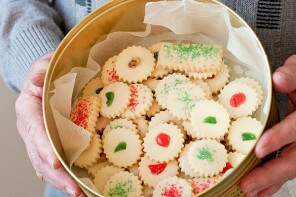 This is what my mom always used to make our Easter Lamb cakes with so that’s all I’ve known. I want to continue the tradition (but not the 9 cakes she always made..lol). Thank you..
Hi Lin, This cake is not quite as firm as some pound cakes I’ve made, but I suspect it would work. Just grease the pan really well :) I would double the batter, but you may not need to use it all. I just don’t think the single recipe would be quite enough. You can gauge how much you filled the pan with the mix and just fill it to that point. If you do make it ahead you can judge if you think it’s firm enough. If not, you might try the 62nd Street Lemon Cake I have on my site instead. It is a firmer version. Help! It’s Easter morning and I’m all ready to bake this loaf. However, I can’t find my loaf pan anywhere! 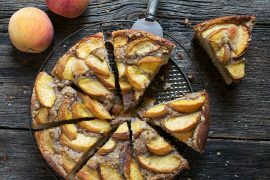 Could I do this in a cake pan, instead? I have 8” square or round. Should I double the recipe? So glad you are enjoying it, Elly :) Thanks! Absolutely yummy!! Followed directions to a T, only change was made lemon syrup instead of glaze. Thanks so much, Josey :) So glad you enjoyed it! Hi. Can I substitute the sour cream with yogurt? 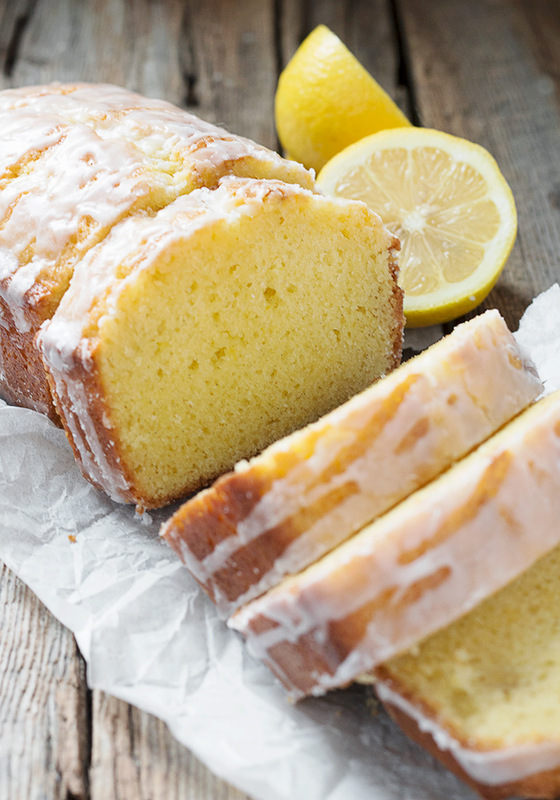 This is such a great lemon loaf! Like others, I keep making it over and over. Be sure to cook at 325, not 350 like I did the first time! Thank you for giving your guidance about making sure the eggs, butter and sour cream are at room temp before starting. Always comes out great. After spending like 20minutes to convert the receipe in metric [I live in Belgium we don’t use cups here], I just realise you’ve made a button just for that! So BIG thank you, I will use your receipes more often because I’m tired of going through this process when I want to try american baking receipes. We don’t have any sour cream in here, what pourcentage of fat is yours ? I will try it with a similar dairy product and add lemon juice to it. Hi Jen and yes, my recipe card software calculates the metric for me. I’m always a little worried it doesn’t convert properly, so if anything seems out of whack, be sure to just double check. As for the sour cream, I believe it’s about 14% b.f. Enjoy! Hi ! I didn’t expect you to reply so fast so I just added some lemon juice to 20% fat cream and let it sit for about 30min. The cake is almost gone, it was a success, everybody love it and it was exactly what I was craving so thanks again for the receipe, it’s perfect. I wanted a very lemony cake so I listened to the comments and double the lemon juice and zest. This is a staple recipe in our house. 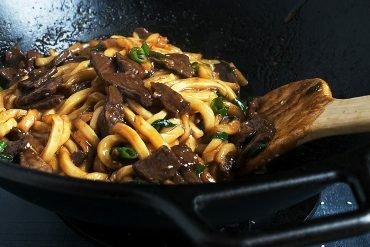 It is simple, but so delicious! I always add extra lemon as you suggest if not doing glaze to give it a little more pucker and punch. This has become my go-to lemon pound cake recipe! I have it saved on my iPad and make it a couple of times a month. Just love it! But this morning I’m craving an orange treat. Could I simply sub orange zest/juice for the lemon zest/juice? Hi Deb and so glad you are enjoying this one :) As for subbing orange, you definitely could, but I’m thinking if you did it in the same quantities as lemon, the orange flavour might be quite subtle. I wouldn’t increase the juice as it would probably throw off the recipe a bit, but I would increase the orange zest. Maybe double? Worth trying, I think! Made today for my daughters birthday. Yum. Thanks! So glad to hear, Debbie :) Thanks! This has become a family favorite in our house….make it on a regular bases. 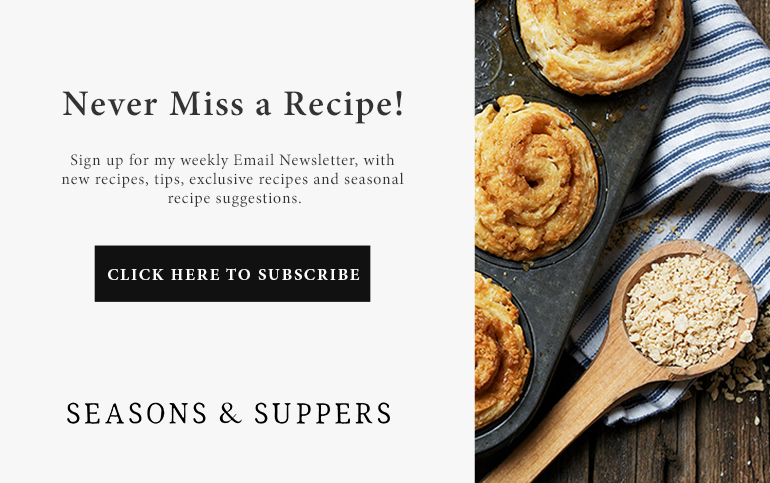 Thank you for such lovely recipes!!! Thanks so much, Jenn :) So glad you are enjoying them! Hi Jennifer! 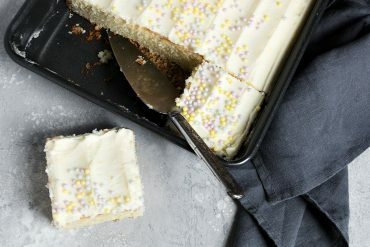 I am newbie baker and loving your blog. How do you make a glaze? Just mix the sugar and lemon? Or do I whisk it up in the electric mixer? Hi Reguina, no mixer needed. If it had butter in it a mixer is good, but this one will come together nicely with a spoon. 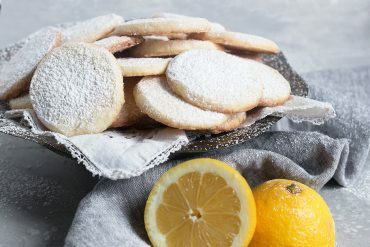 When you first add the lemon juice to the icing sugar, it will look like there isn’t nearly enough liquid, but just stir and stir and the lemon juice will melt the icing sugar into a smooth glaze :) It will be pouring consistency, not spreadable. Hope that helps! My loaf pan measures 9.25 x 5.25 inches…..how long would I bake it, also it’s a dark metal pan. Thank you, Jennifer. I look forward to making this! A short loaf and less cooking time with a 9×5 pan? I’m in the same boat, but what size pan do you typically use, recipe says 8×4? Thanks, I’m excited to make this! Hi Steph and yes, this one is best baked in an 8 x 4 1/2-inch loaf pan. That said, if you only have a 9×5 pan, it will be shorter, so you will want to reduce the baking time. Check often for doneness and you will be fine. Hi, it looks awesome! I havent tried it yet but before I do can I ask if it will still taste sweet without the glaze? I dont want to add the glaze but i also dont want the cake to taste bad without it. Also, will the mixing times still be correct if I hand mix? I don’t have an electric mixer, and im a huge amateur, so im not sure if i can eyeball it to make sure its mixed well enough. Thank you! Cant wait to try it. Hi Reagan, So a couple of things … you don’t need to do the glaze, but the glaze in this recipe is where the real hit of lemon is, so you’d want to up the lemon juice and zest in the loaf if you aren’t doing the glaze. Maybe double. As for making without an electric mixer, you will need to really (really!) use your muscles and whisk the butter and sugar until it lightens in colour (goes from yellow coloured to whitish.). Also whisk the eggs in well after each addition. After that, you should be good :) Enjoy! Would this cake be good without icing for a fondue? Hi Kate, it may be a little too tender for fondue. While it is a pound cake, it is not a dense one that would cut well into cubes etc. Do you think I can double the recipe and bake it in a bundt pan? I think it’s worth a try, Liana. The cooking time would be longer, I suspect. Let me know how it works out! 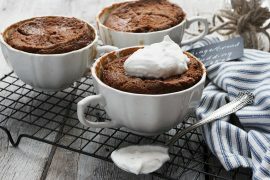 I am gluten free, but I substituted a gluten free flour blend, cup-for-cup, in this recipe and it turned out amazing!! It was so good, it didn’t even last 6 hours at our house! I have a daughter who is gluten free as well, and she was very happy to have it for breakfast! The lemon flavor is incredible! I’d love to see gluten free baked goods on this site as well. I’m sure they would be very good! Hi Katarina and thanks so much for letting me (and everyone :) know that this one turns out so well with gluten free flour. I appreciate your interest in gluten free baked goods. I will keep that in mind. So glad you enjoyed it!